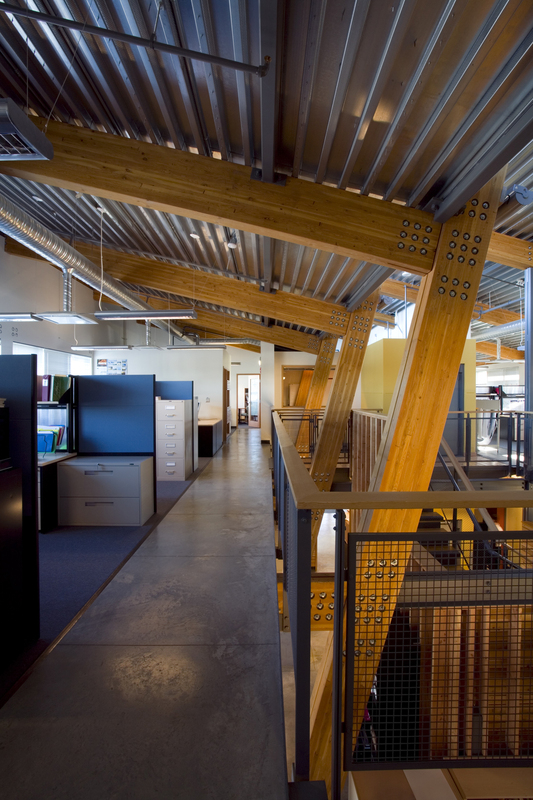 The Operations Centre built for Parks Canada demonstrates how the natural resources found on a site can be fully integrated within a building to minimize its environmental footprint, and create a building that is highly evocative of the place in which it is built. 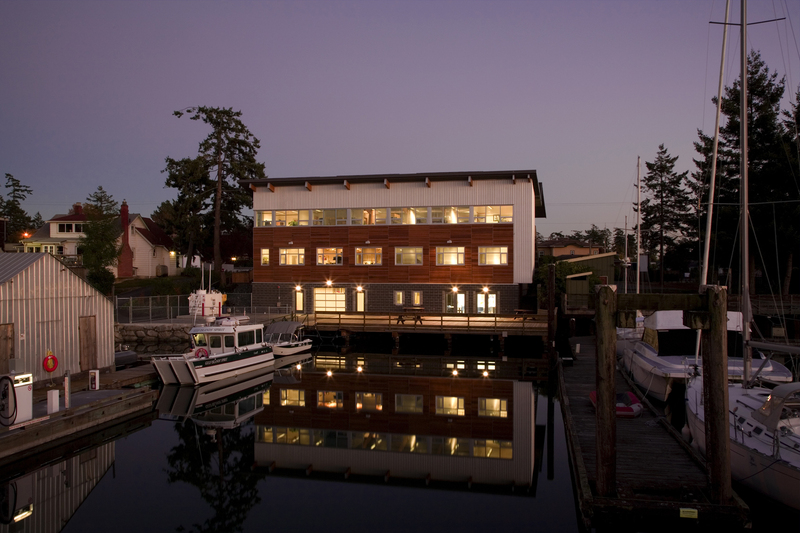 Located on the waterfront in Sidney, BC, this three-storey building serves as the headquarters for The Gulf Islands National Park Reserve, established in 2003, and includes facilities for marina operations, administrative staff, and an interpretive centre. In recognition of this project’s exceptional indoor environmental quality, and outstanding achievements in land, water, energy, and material conservation, this facility was awarded a LEED® Platinum rating. It is the first project in Canada to achieve this level of sustainability. 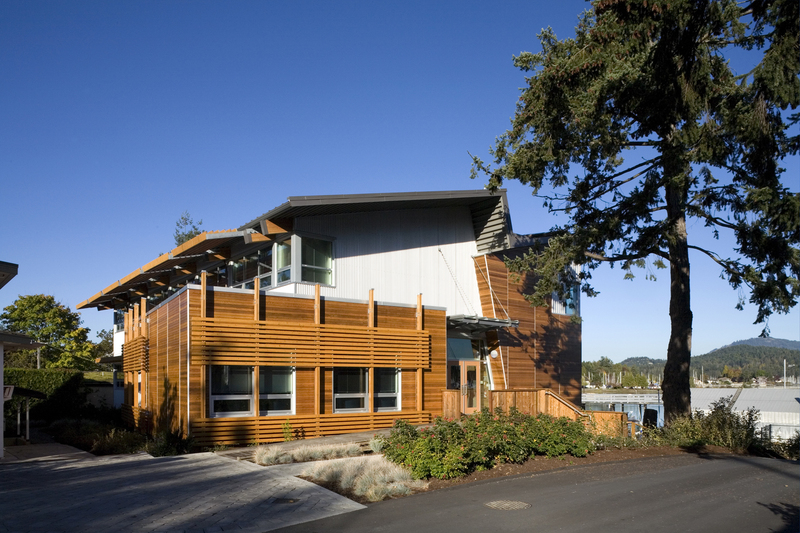 The project clearly demonstrated an architectural design approach to the integration of sustainable design principles, executed at a high level in all categories of sustainable design, namely site planning, water efficiency, energy efficiency and renewable energy, conservation of materials and resources, and indoor environmental quality. The success of the design is that it recognized opportunities in the above-mentioned areas and interpreted them in the architectural language of form, massing, orientation and use of materials as well as finding a vocabulary for architectural expression. The architect successfully employed day-lighting strategies, approaches to natural ventilation and air movement in the development of the building’s dominant section profile. Architecturally, the building siting takes advantage of the coastal harbour location while modestly situating itself behind the residential buildings on the street frontage. Extensive use of B.C. 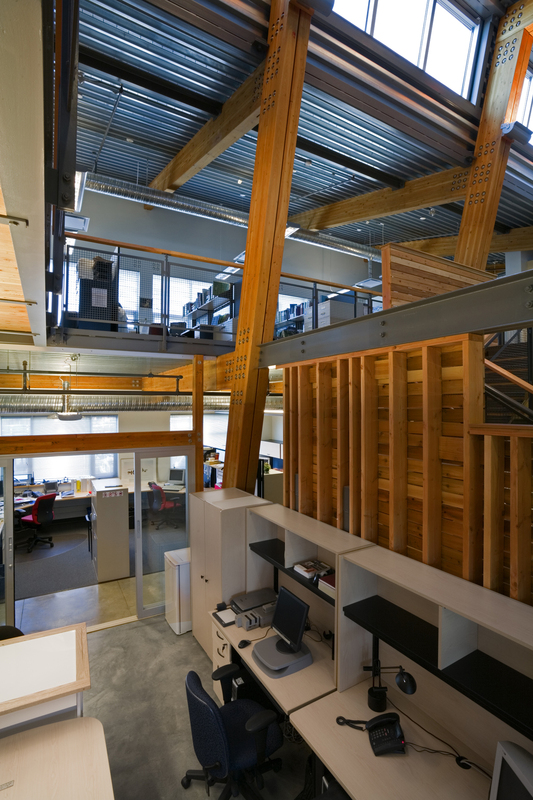 wood, throughout both the interior and exterior as structural elements and finishes, is in striking contrast to the raw metal used for the exterior building envelope and underside structural roof deck, resulting in a dynamic and exuberant expression. One of the greater and most exiting challenges of green building design is how does it shape our buildings, how will the idea shape the form. This project through its sensitive site integration, the shape of the roofline, the facades varying textures and the use of wood as its primary building material is an elegant and thoughtful answer to this very fundamental issue. As RAIC's inaugural "Award of Excellence for Green Building", this project clearly exemplifies that environmental stewardship can convey both modesty and beauty, simultaneously. The Operations Centre's protection and rehabilitation of marine and terrestrial zones speaks to the client's and designer's true appreciation of the values anchoring the core principles of sustainability. Each project must uncover its dormant inherent environmental opportunities, and this design wonderfully celebrates the sustainable notion of resilience. While the roof form is a lyrical expression of marine imagery, it equally speaks to sun, air and natural, local materials. 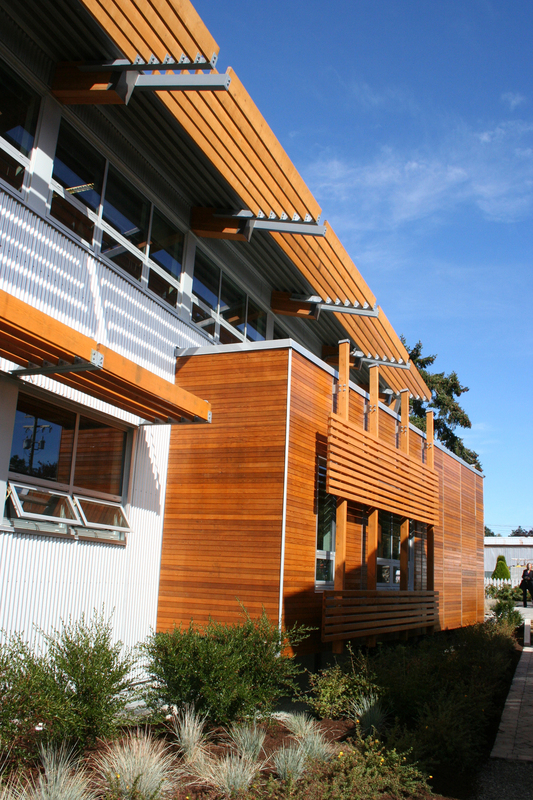 This building thrives on its passive characteristics (witnessed in the building's sectional composition and resolution) and while it benefits from active green technologies (solar panels and ocean energy geo-exchange), neither of these components diminish its overall site response. If all buildings and neighborhoods could walk this tightrope between low and high tech, socio-economic constraints and contextual sensitivity, then the 2010 imperative and 2030 net-zero challenge will in fact become more than simply an ecological response to climate change as we move towards a holistic model of the sustainable communities we one day hope to live in.